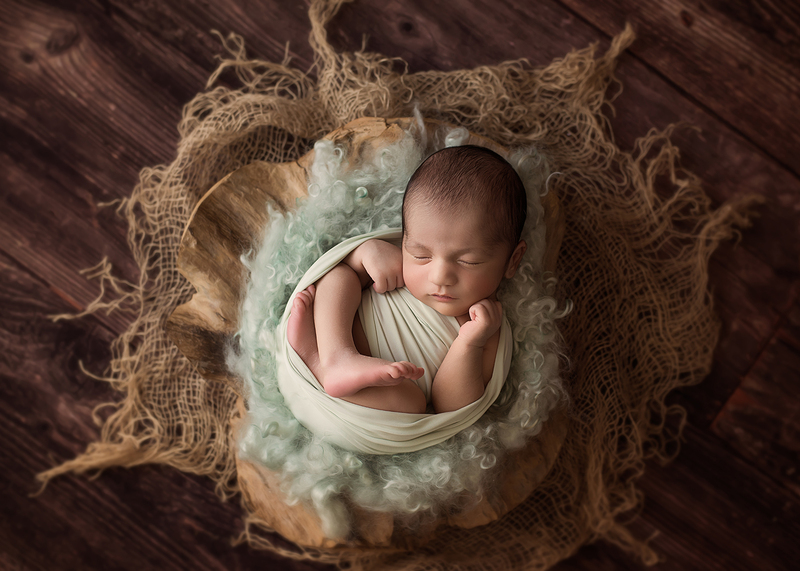 Bringing your newborn into your family is one of the most amazing experiences any parent can have and one that you will want to cherish forever. 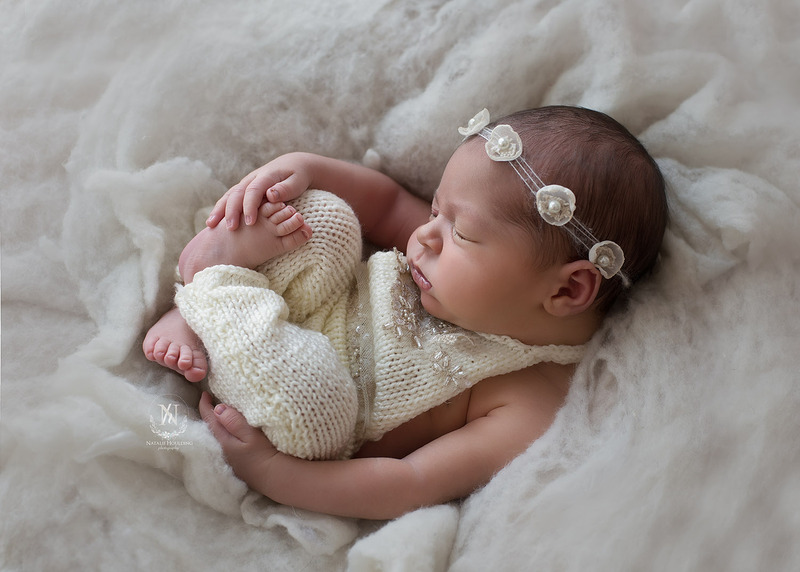 A newborn photography session is the perfect way to do just that giving you a timeless reminder of your baby which you can share with your friends and family. 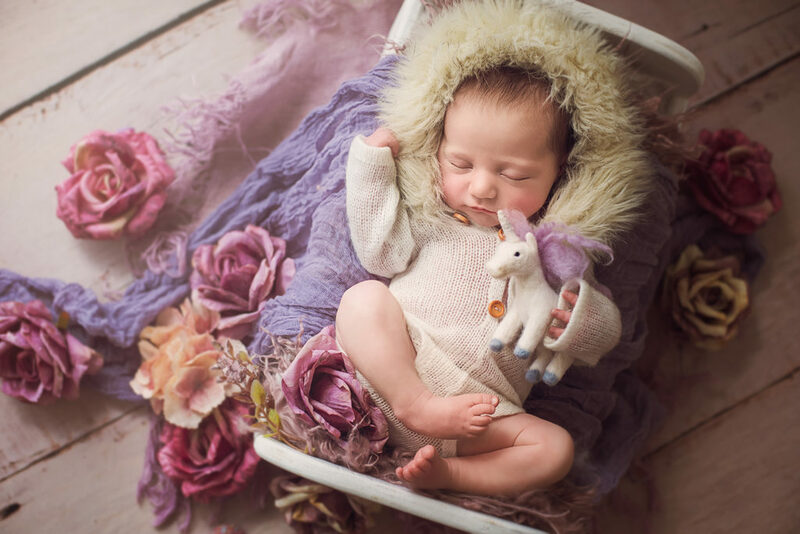 The best time to book a newborn photography session is ideally when your newborn baby is between 3-14 days old and still able to curl back into the foetal position and is sleepy and snug. I’m also taking bookings up to 6 weeks old. To avoid disappointment, make sure that bookings are made in advance. 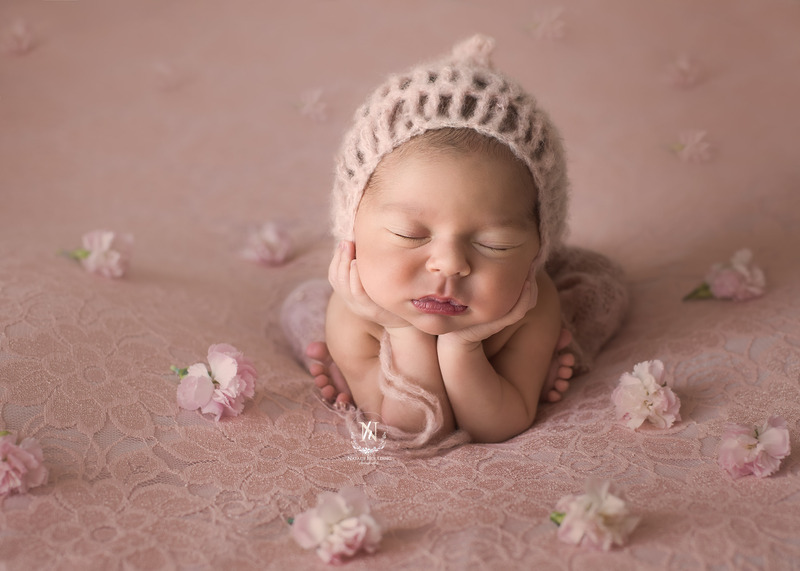 If baby arrives early or late, then let me know at the earliest opportunity so that I can fit you in as needs be. Session fee/ Deposit $200 ~ which is deducted from your package total amount! Plus, the same set watermarked and resized for media sharing. 10 stunning and beautiful fine art prints 6×8.5″ (A5). 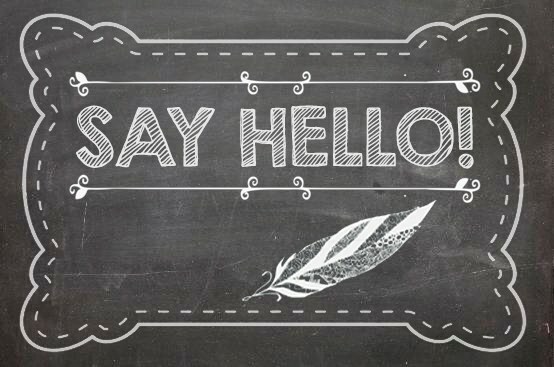 with a photo of your beautiful new arrival*. Your personal and secure online gallery of the best images of the day for you to select from. 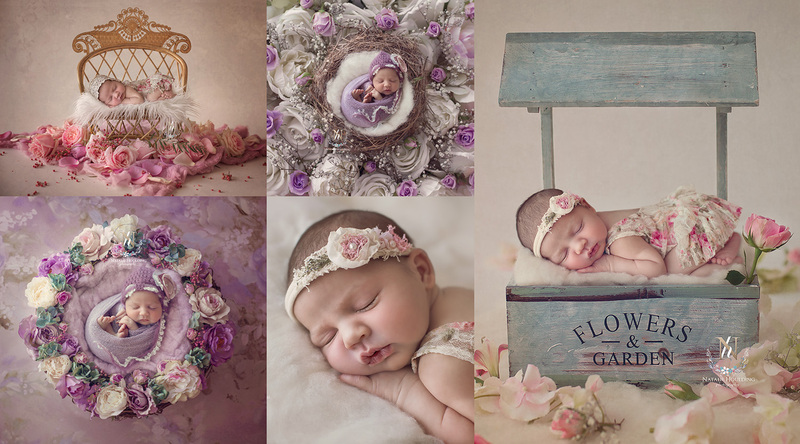 The use of my extensive collection of props including: Flowers, jewellery, hats, bonnets, headbands, tiebacks, backdrops, baskets, faux furs, wraps, blankets, hammocks, floral arrangements and custom made nests and beds. Post production and natural editing of your images all done by myself and not sent to a third party. 5 fine art digital backdrops. As part of your package you have the option to select upto 5 digital backdrops of your choice. 15 stunning and beautiful fine art prints 6×8.5″ (A5) (same set as on the USB), presented in a beautiful glass case. Up to 3 hours of custom styled photography in my home studio. 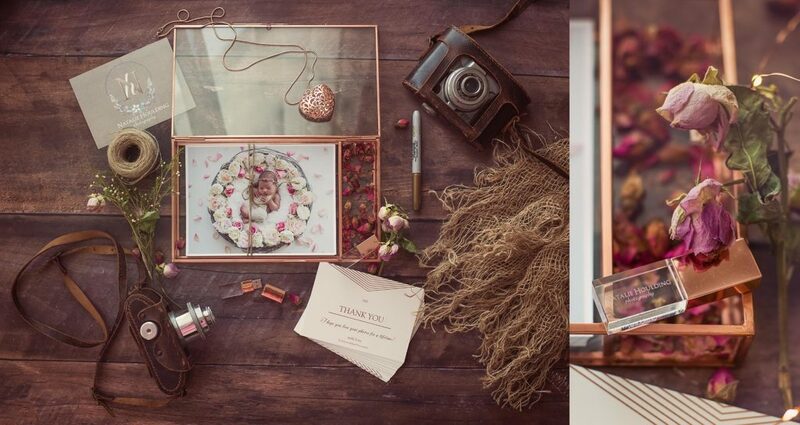 One stunning and unique 32x48″ collage canvas print, crafted from nine of your favourite images from our session. 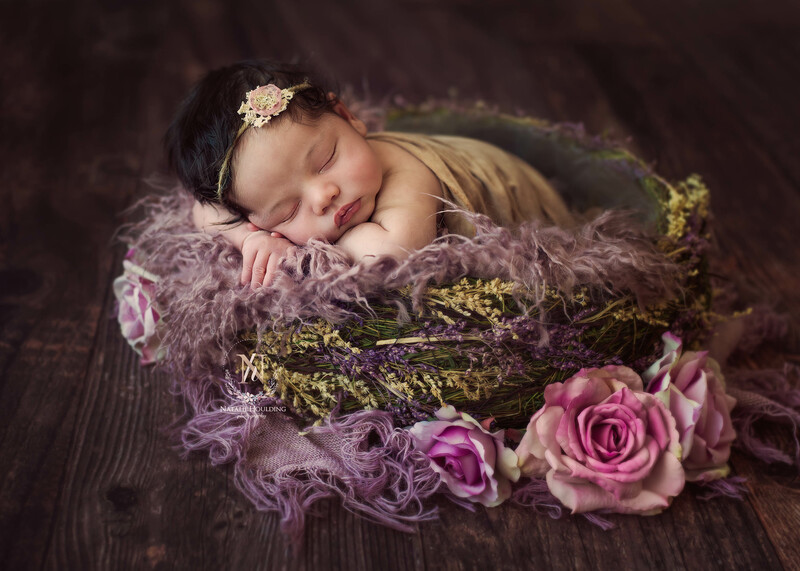 The use of my extensive collection of props including: jewellery, hats, bonnets, headbands, tiebacks, backdrops, baskets, faux furs, wraps, blankets, hammocks, floral arrangements and custom made nests and beds. Fresh flowers for images in this package are included, if needed, at no extra charge as long as I am notified within three business days prior to the session. They must be requested. 20 stunning and beautiful fine art prints 6×8.5″ (A5) (same set as on the USB), presented in a beautiful glass case. * A surcharge of $100 applies to sessions which include siblings. 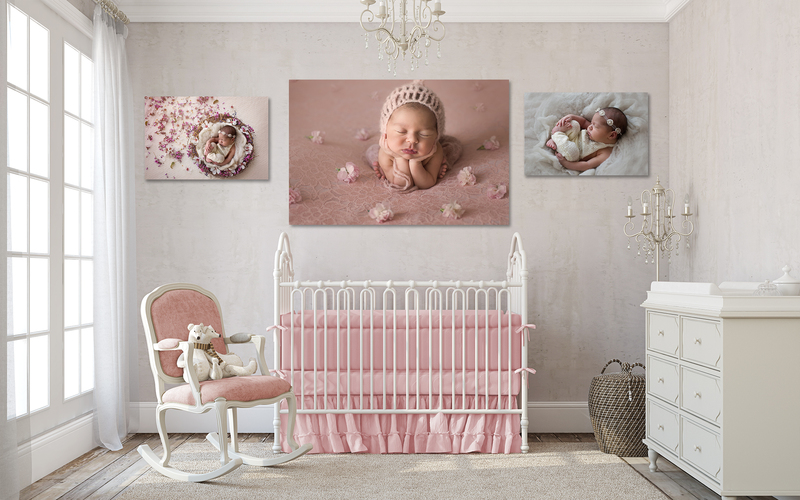 This allows for my time to photograph, edit and supply additional images to your newborn’s gallery for your selection. You will receive two enhanced high resolution images for your USB with two matching 6×8″ (A5) prints. * Depending on the session, three specialised composite images (digital backdrops) will be included. * Online galleries are available to view for 7 days. After this, the gallery will be removed and a $30 re-upload fee will be charged. If more time is required, the client is to inform in writing in advance. * Some photos may be selected by myself using my professional judgement and experience as part of the package. Clients will also have the opportunity to select their own photos from the gallery selection. * Additional digital files and prints over the set amount in the package are $30 per file including print – 6x8” (A5) or $50 for a digital backdrop composite. 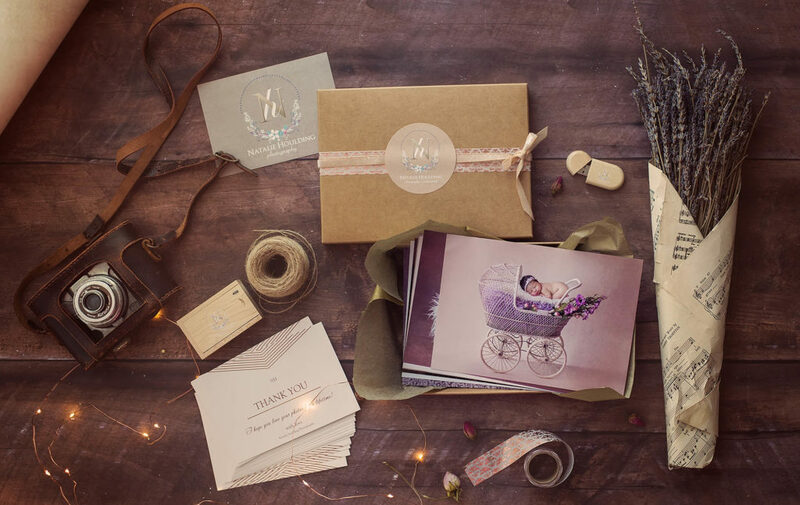 * The Birth Announcement is a bonus file with one free edit allowed. * Twins or multiple birth will be $150 extra due to the longer hours and the need for assistance. 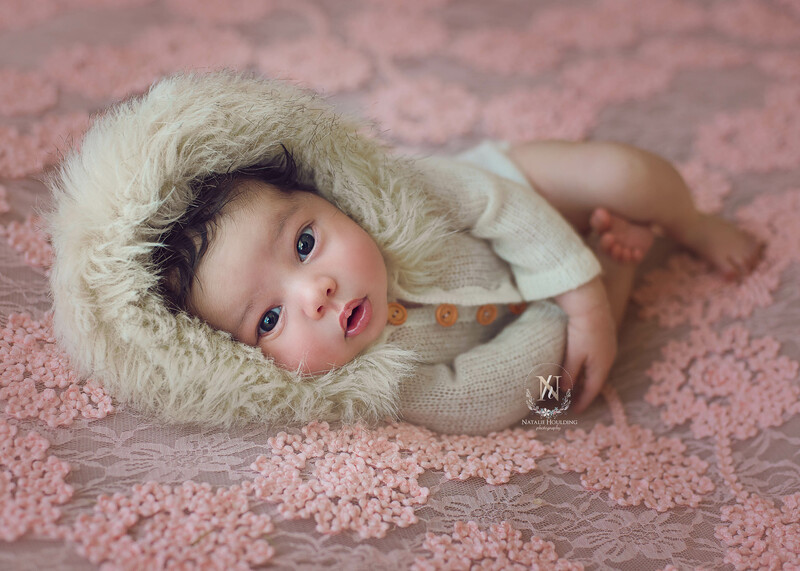 (Contact me for more details) Although not necessary, the best time to capture your baby’s photos are just after feeding time. I ask that during the session, only those members of your family who you want in the photos come to the studio so as to keep the setting peaceful and free from possible disturbance. * Balance of the package is payable on or prior to the session day unless otherwise agreed in writing by me. Please contact me for availability and payment details to book your session or book here.